The Chain of Betters ask " How would you make the world a better place if you were given US$1000?" and Juelle Espiritu answers by helping the fishermen community of Maribeles Bataan installing radar reflectors on their small wooden fishing boats so as to help large vessels detect them on their radar and hopefully avoid collisions. With the help of Western Union thru the Chain of Betters campaign. 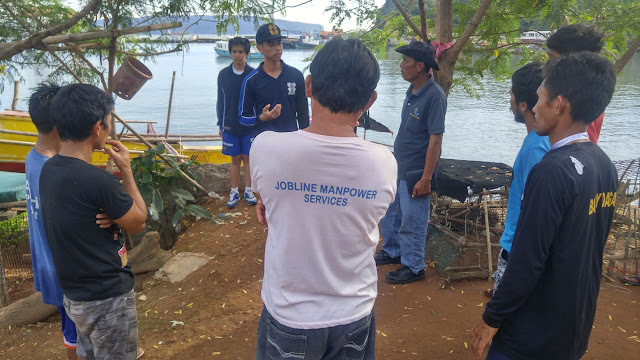 Juelle Jade is now able to help and support fishermen of Maribeles Bataan. 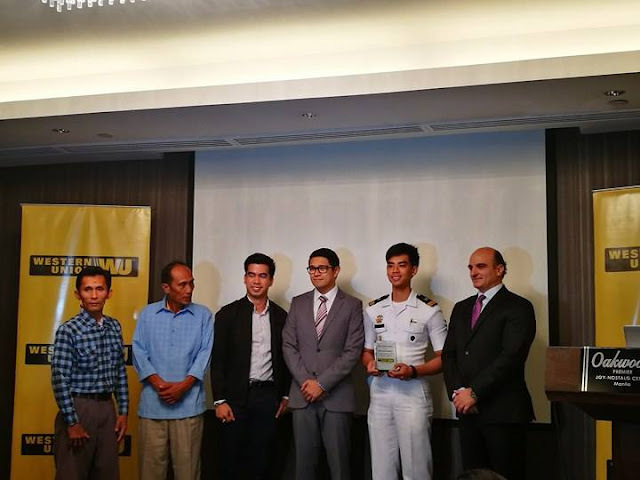 Western Union, a leader in global payments services, recently awarded Juelle Jade Espiritu, one of this year’s Ten Outstanding Maritime Students (TOMS) last December 14 at Joy Nostalg QC with US$1000 to install radar reflectors on small wooden fishing boats in Mariveles, Bataan. The award was given as part of the company’s global Chain of Betters campaign, which creates a chain of good deeds worldwide. Living in Mariveles, Bataan and studying in a maritime school exposed Juelle to the realities of life at sea, where fishermen sail on the vast open ocean to earn enough money to live. 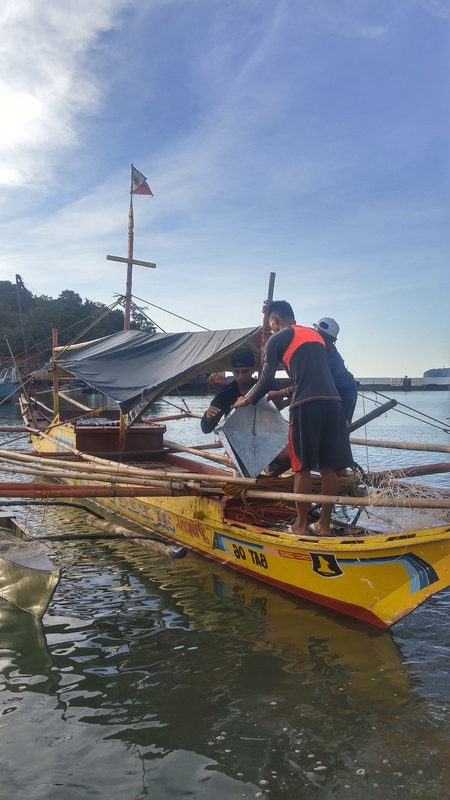 These fishermen use small boats, making them almost invisible to large international merchant vessels that frequent the area. So, when given a chance, Espiritu wanted to lessen the danger the fishermen face every day. 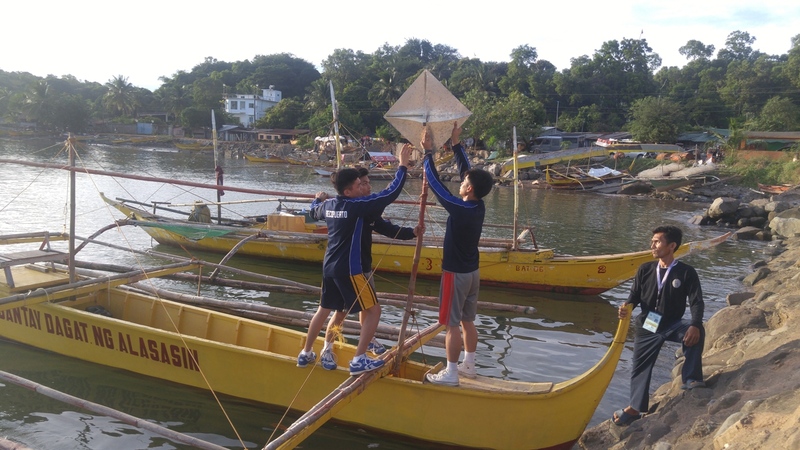 He proposed installing radar reflectors made of recycled material to wooden bancas (small fishing boats) to help large vessels detect them on their radar and hopefully avoid collisions. “Being one of Western Union’s TOMS has given me so much honor and pride,” said Espiritu. “Now that Western Union has given me the opportunity to help my community, I am excited to see fishermen use the radar reflectors and hope that will help keep them out of danger.” . 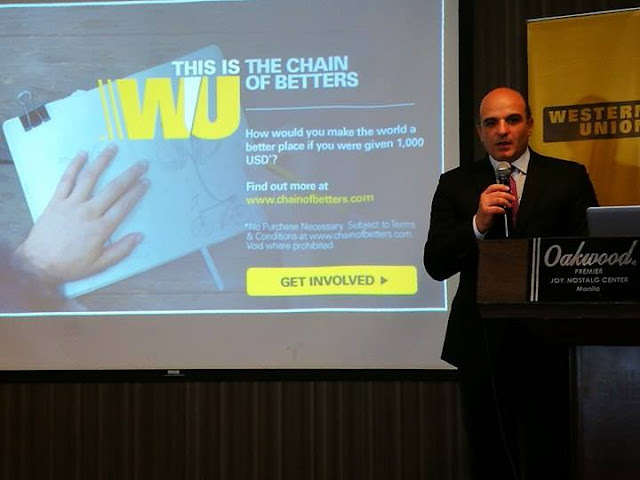 Chain of Betters is a global campaign developed by Western Union that supports initiatives in 35 countries. To date, it has supported 108 projects conceived by individuals who have inspiring stories to tell – from lighting up a whole village to helping make a child’s dream to be an airplane pilot come true. Interested individuals can share their ideas for good deeds at www.wu.com/chainofbetters. 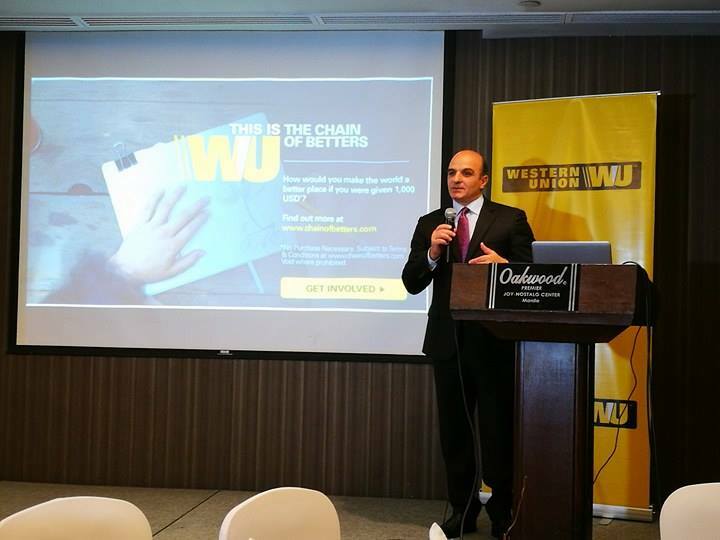 “We believe better things happen when money moves, which is why the Chain of Betters campaign funds projects from all over the world to help improve local communities,” said Hatem Sleiman, Western Union regional vice president, Middle East and Philippines. “Anyone can share their own ideas to hopefully become the next link in the campaign.”. 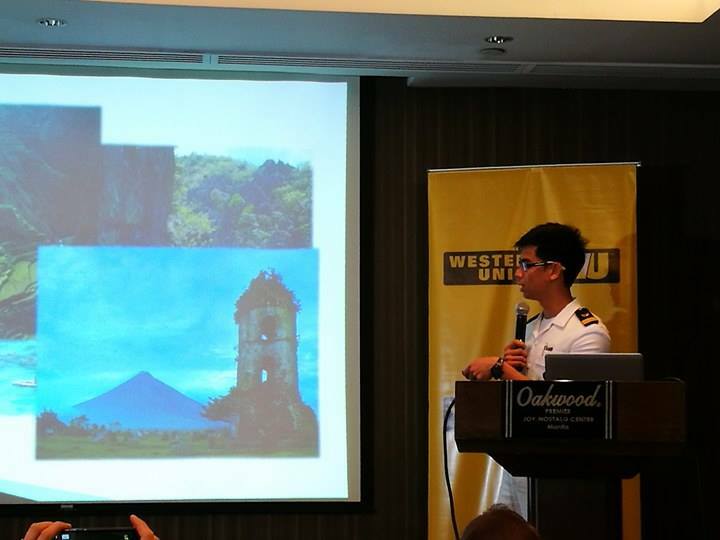 This Chain of Betters campaign is one of Western Union’s efforts to improve the lives of Filipinos. 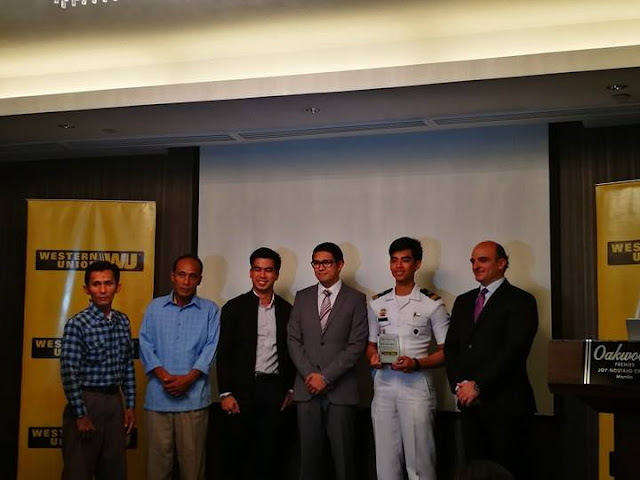 It also sponsors and manages the annual TOMS campaign to recognize and honor future seafarers.